I am very passionate about helping people heal their traumas and challenges. Integrated Energy Therapy uses an unique Cellular Memory Map to target specific areas in the body where these " cellular memories" are stored, helping to release them on all levels- physical, emotional, mental and spiritual. As these blocks are cleared, thesuppressed charge of energy dissipates and your energy field is re-balanced. It is a very loving and compassionate ray of energy. Please contact me if you wish to arrange a healing appointment or if you need any further information on any workshops. Thank you. Please see below for payment link to Basic, Intermediate and Advanced IET workshops. Basic IET on 7th, Intermediate on 8th and Advanced on 10th July- you may choose 1, 2 or all of the training dates. 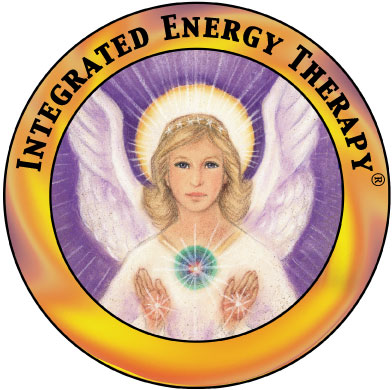 Integrated Energy Therapy is a hands on healing modality that helps clear away the emotional, mental, physical and spiritual energy blockages while relaxing in a warm comfortable setting. Nine healing Angels are invited to assist in removing the blockageby working with the healer. It is performed on a fully clothed body and it is a very effective healing treatment based on integrating in the pain of the past into the present to clear the energetic path at cellular level for a happy and healthy future. There are nine specific points where we suppress trauma and during this healing the old energy is removed at cellular level and replaced with the opposite. For example in the stomach area we hold onto stress and powerlessness- during an IET healing session this is energetically teased out and replaced with ease. It is a very popular and effective treatment for anyone who may be feeling stuck or unhappy in their life. The Four Levels of IET Practitioners and what they can offer you: There are four levels of Integrated Energy Therapy® practitioners and each level expands what an IET® practitioner can offer you in their sessions. Here is a summary of what each level IET session has to offer you. Advanced Level IET Class – in addition to clearing your cellular memory and your human energy field, the Advanced level IET session can help you to discover your soul’s mission and attract members of your soul’s cluster to help you live your soul’s mission and bring your dreams alive. Master-Instructor IET Class – in addition to clearing your cellular memory and your human energy field, and bringing your soul’s mission alive in your life, the Master-Instructor level IET session focuses on optimizing your 12-Strand DNA, which can further enhance your wellness at all levels and increases spiritual synchronicities that open the doorways to your destiny.